Located on the banks of river Vishwamitri, Vadodara has a rich historical background that dates back to over 2,000 years. Also known as Sanskari Nagari which means a cultured city, Vadodara offers a unique contrast in culture. On one side, you will find a laid-back city while on the other, there is a young energetic side that evokes a certain buzz in the city. Exploring all of that in our Mercedes-Benz GLC was seriously fun. 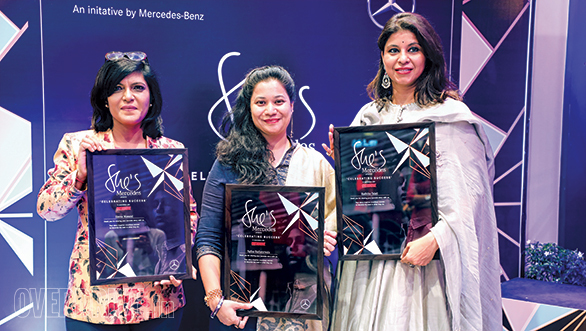 Out of the many living here, the three women entrepreneurs who stood out for their achievements are Heena Masand, Nafisa M Radiatorwala and Radhika Iyer Talati. Heena is an HR professional with an experience of over 14 years. She is an Image Management professional who is responsible for planning and coordinating activities alongside entirely managing business for the Image Consulting Business Institute, Vadodara centre. She is presently the city head and chief engagement officer of the Image Consulting Business Institute in Vadodara and is also the master franchisee of Vadodara and Surat for the same Institute. This Institute comprises of 15 centres all over India and in just six years of its inception, it is now the largest Image Consulting Institute in the world. Nafisa, on the other hand, is the founder of Nature's Glow. Being a fashion designer, Nafisa spent her initial professional years in different parts of the world and has had a successful career. Nonetheless, Nafisa has always harboured dreams of starting her own business in herbal cosmetics. Starting in 2004 in Vadodara by selling miniature herbal facial kits, Nafisa made a slow and steady start to set up her own herbal cosmetics business. Nature's Glow presently concentrates on manufacturing and marketing exclusive export-oriented products for the UAE, Africa, UK and many countries. Radhika Iyer Talati is a fighter who has battled cancer twice. She is a partner at Ivy Concepts, an agency that specialises in large scale wedding management and corporate events. She is a project head and curator for festivals, events and exhibitions held both nationally as well as internationally. Radhika also conducts workshops on etiquette and grooming for finishing schools, corporates and student bodies and has over 20 years of overall experience in the field of visual merchandising. And it does not end there. She is also a qualified yoga trainer and a meditation expert who organises and conducts fitness sessions pertaining to yoga, meditation and pranayam for individuals, corporates as well as other institutions. 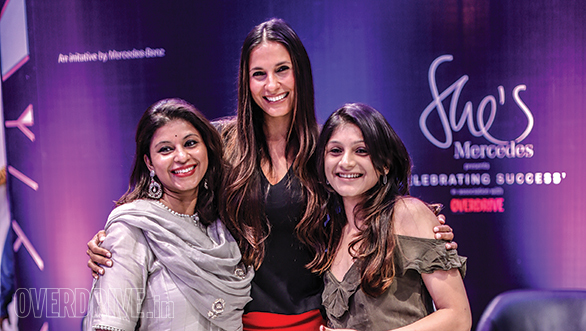 We were also joined by Ramona Arena, model and actress along with Sairee Chahal, founder and CEO of Sheroes, a globally influential platform that has benefitted over a million women. 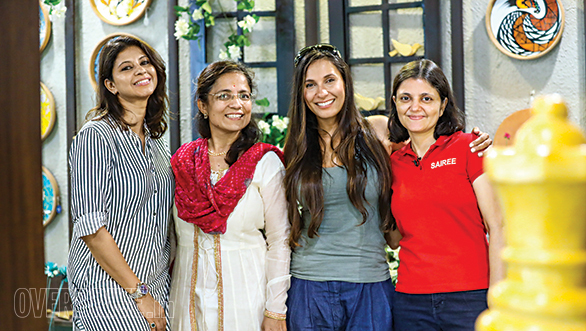 At an evening ceremony, Radhika, Heena and Nafisa were commemorated for their achievements wherein the trio shared the highs, lows and the challenges of their journey to being the successful women entrepreneurs that they are at present. Madurai, the third largest city in Tamil Nadu, is famous for its numerable historic monuments at various locations. Giving Madurai its true identity are the Meenakshi Amman temple and Tirumalai Nayak palace. 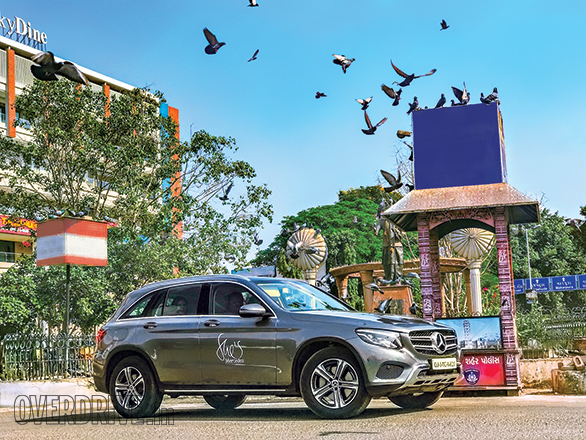 These colourful structures amidst the luscious greenery was the perfect backdrop to photograph our red Mercedes-Benz GLC. The city of Madurai gave us the privilege to meet three of the finest women entrepreneurs who have not only made a mark but have also influenced many in their journey. Dr Rajakumari Jeevagan is the founder and managing partner of Waalai Group of Hotels and Caterers. Starting 1996, she rose from humble beginnings with a mobile cart with an investment of Rs 6,000 and two employees. Presently, she heads two restaurants and a catering unit that has a 50 per cent women workforce. From representing India in the United Nations to winning the Gem and Nightingale of Madurai and the Dr APJ Abdul Kalam Award, Dr Rajakumari has always been an achiever. Additionally, she also conducts Wedding Suyamvaram for the differently abled every year along with Mega Magalir Mela in Madurai, benefitting 4,000 women on all fields, talents and skills. We also met Dr Hema Sathish, the founder of Sanche skin and laser clinics in Madurai and Mumbai. She has attended clinical training at University of Wales College of Medicine and advanced laser training at Laser Clinic 2000 in London. An active member at the International Academy of Cosmetic Dermatologists, Dr Hema runs the Devadoss Multispeciality Hospital in Madurai. Among these influential entrepreneurs was a young Vichitra Rajasingh. After finishing graduation, she founded the Bell Institute of Hotel Management and Catering Technology that offers quality education to rural youths at subsidised rates. This endeavour was then followed by the establishment of Puppy's Bakery and Bell Restaurants and Hotels, wherein the latter employs more than 600 people with seven branches across Tamil Nadu. 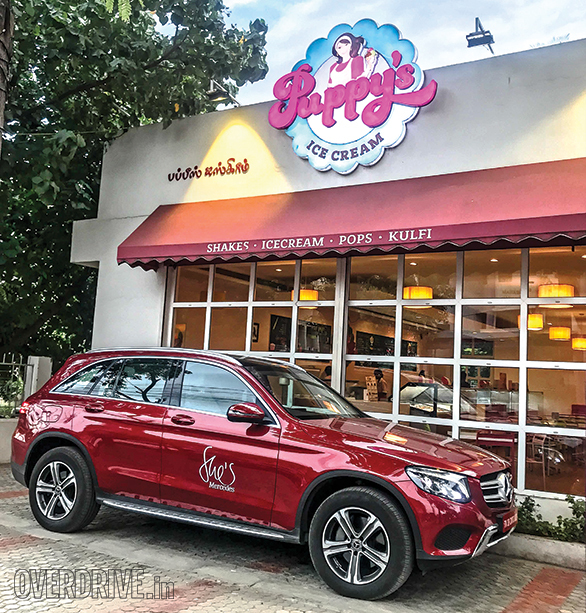 Vichitra also has her own ice cream studio that is present at six locations in Madurai. 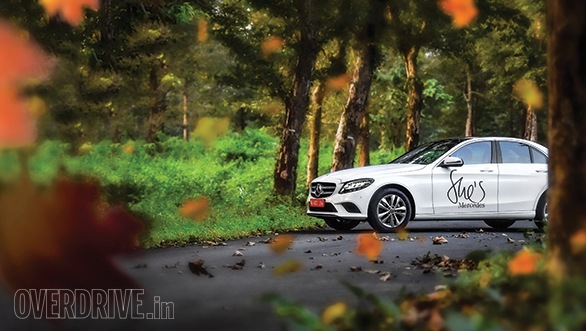 Being an ardent environmentalist, Vichitra also believes in sustainability. Her unique 1,200 sqft platform restaurant stacked vertically on the Lake View main road is testimony to it. Vichitra Rajasingh, Dr Hema Sathish and Dr Rajakumari Jeevagan were joined by Tanvi Mallik, the co-founder of FabAlley, an online fashion brand that is one of the most aggressively growing apparel names in India. 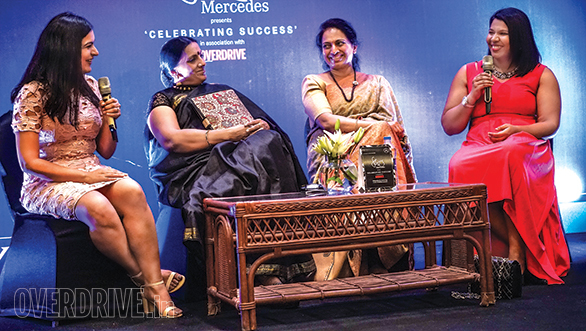 Hearing their stories proved to be quite insightful and inspiring for the many who attended the She's Mercedes event at Madurai. 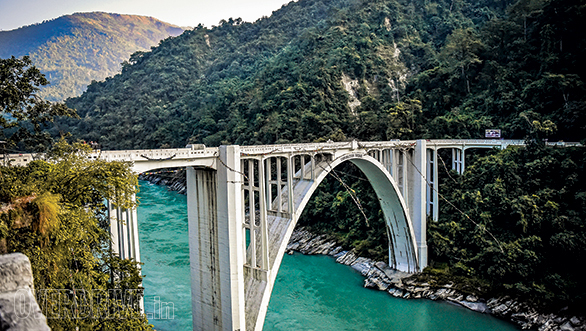 Siliguri, also known as the gateway to the North East of India, is a place where you would like to get lost! The narrow lanes in and around Siliguri flow around the numerous tea gardens that produce a distinct and mesmerising fragrance. The simplicity in the lifestyle of the locals combined with the serene landscapes was a welcome change. Bringing in a fresh wave of revolution in Siliguri are the new age women entrepreneurs like Sudeshna Sen, Sangeeta Reddy and Rajyasree Banerjee. Making her passion into a full-time profession, Sudeshna has been into the hospitality business since December 2017. After spending 14 years working with MNCs, Sudeshna entered the resort business at Sawasstika Eco Resort. 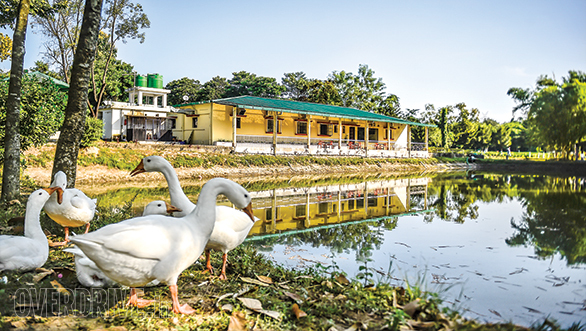 This resort boasts of a tea garden, lotus pond and an abundance of greenery apart from also cultivating tea, vegetables, fish and a lot more which encourages organic farming and promotes sustainable agriculture. We were also joined by Sangeeta Reddy, the founder of the multispecialty diagnostic centre, Reddy Healthcare. With a humble beginning, Sangeeta made sure that she chased her dreams and fulfilled her ambitions of being a successful entrepreneur. She has always believed that through hard work, one can achieve anything and everything possible. 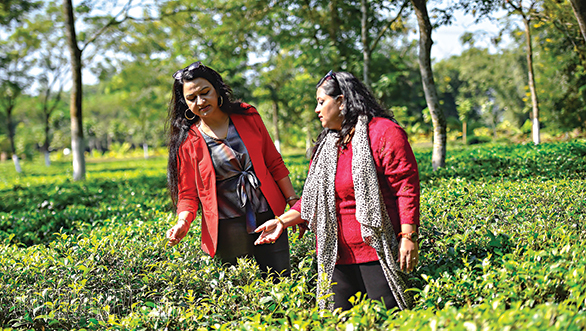 Similar is the belief of Rajyasree Banerjee who after teaching Economics for 15 years, chose to become an entrepreneur and ventured into floriculture, irrigation and water solutions. She mentions that such innovative measures will offer better living and an improved quality of life in communities thereby contributing to socio-economic welfare and prosperity in the country. 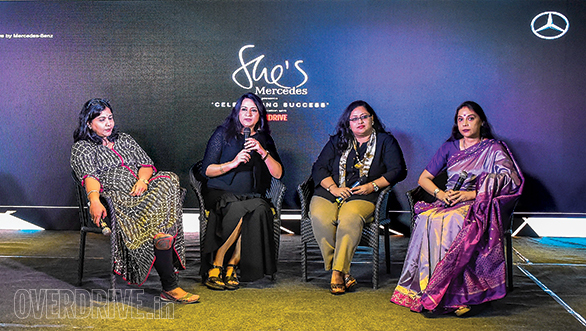 Narrating the stories of these women to a bigger audience at the She's Mercedes event in Siliguri was Shipra Sharma Bhutani, who started with a small skill centre in Jaipur and presently has over 40 skill centres along with running the Quantum Career Academy. Shipra is also a training partner with National Skills Development Corporation and has trained over 20,000 people. 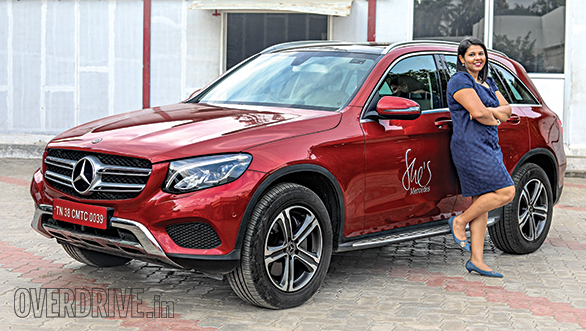 The She's Mercedes initiative is dedicated to the many inspiring personalities who have made it big in their lives and wish to connect with and empower other women, to help them overcome their own personal and professional challenges.